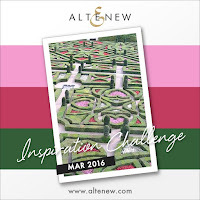 I am stopping by to share some cards I created with inspiration from Altenew's March Challenge Photograph.Check out these three cards and let me know what you think. It is a double fold card. I used a Crafter's Workshop stencil for the background and Persian Motifs stamps. Distress inks are used for background coloring while Prima's watercolor pencils for flowers. I love those pencils- they are soft and easily turns into watercolors with a touch of water. If you color with pencils first and add water, it creates nice gradient, almost like that can be created with Zig's Clean Clear brush markers. The sentiment is from Avery Elle's latest die set. The baker's twins hold two flaps of the card front. This one is my favorite. 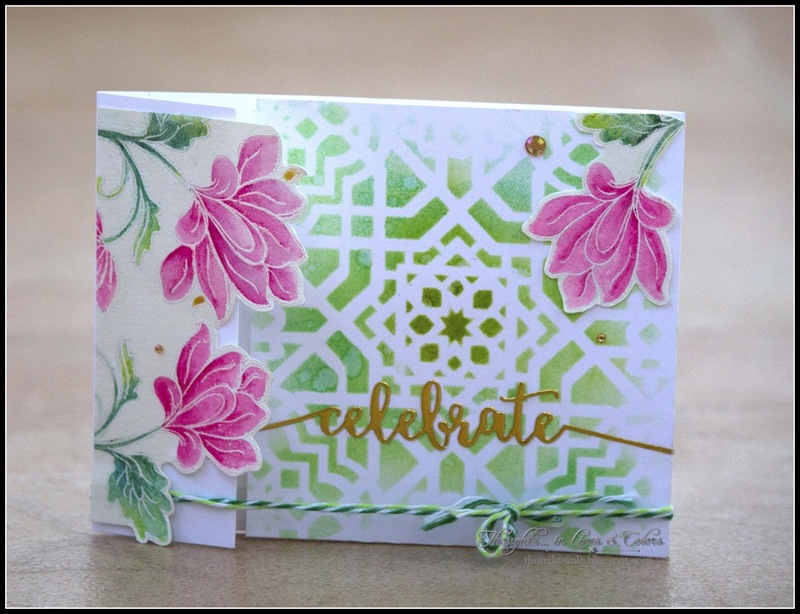 I used Roman Tile Embossing folder from Cuttlebug, Persian Motifs stamps set from Altenew. Distress inks and Prima Watercolor Pencils are used for coloring. 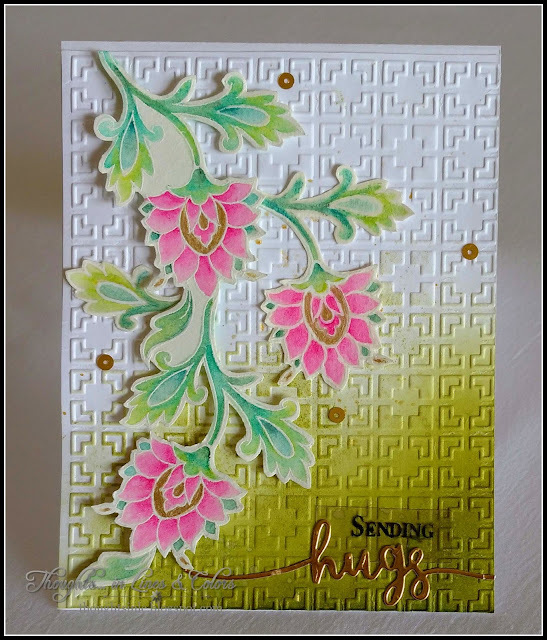 Sentiments from JustRite stamps and Avery Elle die. I added flat sequins for some interest. 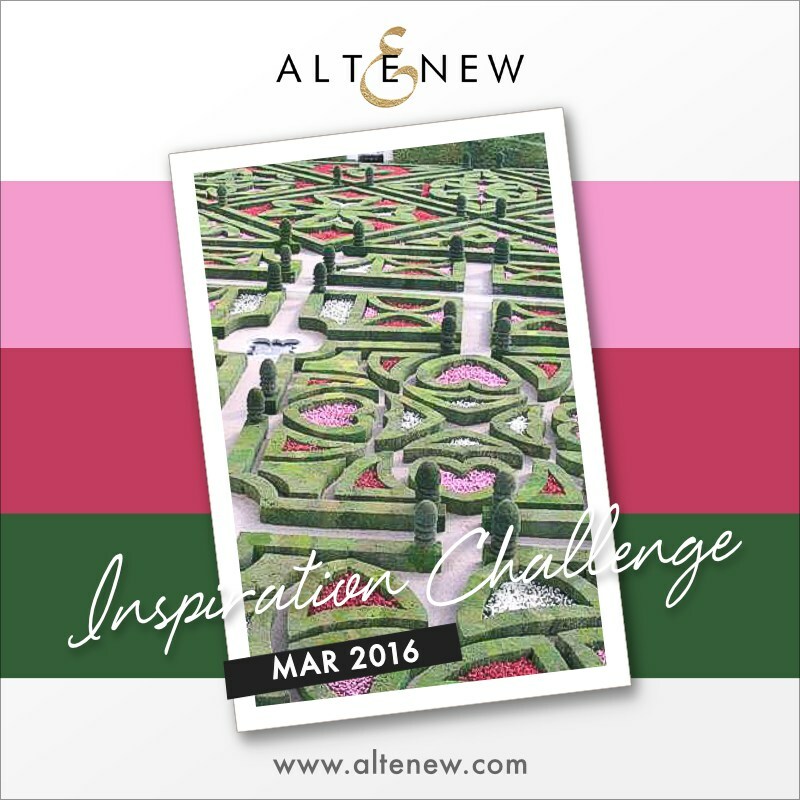 I used Spellbinder's Grate Effect die to represent texture created by well designed and manicured garden in the challenge picture. Orchids are from Oriental Orchid Stamp set and the sentiment from Label love stamp set from Altenew. WHOA!!! these are gorgeous!!!! thank you so much for playing along with us at simon says stamp wednesday challenge!! These are all so very beautiful, I especially love the colour of those orchids! Wow what a wonderful collection of cards. All truly beautiful but have to say my favourite is with that eye catching roman tile embossing folder. what a stunner and just perfect for these flowers. I love your colouring and blending and well just everything. hello! wow, these are all stunning...luv your creations! I am so glad you played along with us at simon says stamp Wednesday challenge! These cards are all brilliant! Love the maze card, however. It dovetails the inspiration photo perfectly! These are all absolutely beautiful! Such wonderful details! Thanks so much for playing along with the Simon Says Stamp Wednesday Challenge!